I’ve been in need of a choker top for quite some time now, so when I saw this on a rack at Nordstrom I knew I had to get it. It has a little shimmer to it and lays perfectly against the body. 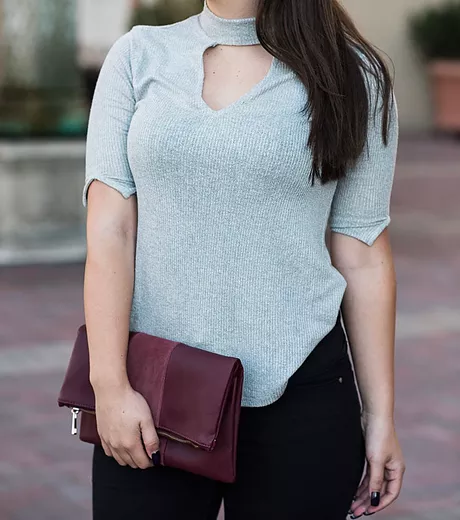 I styled this look with a classic leather and suede maroon clutch, also from Nordstrom and a pair of sunnies from Marsquest – a Canadian brand for those of you who are unaware. Go check them out! Seriously! 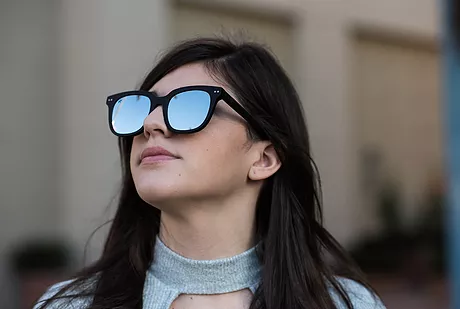 These frames are super sturdy and glide right onto your face. 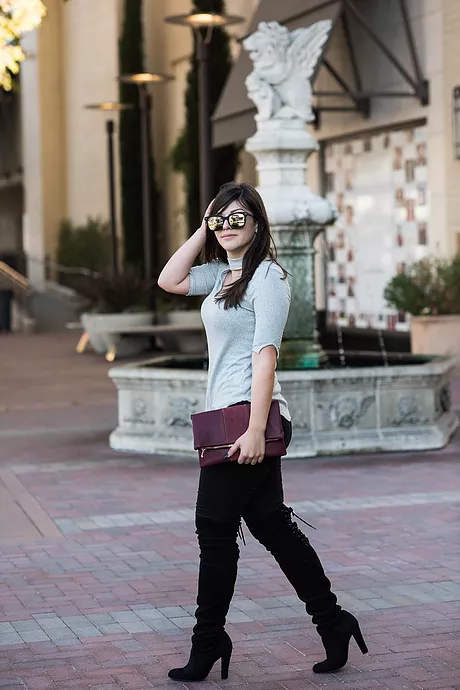 I finished the look with my favorite boots from Steve Madden and some regular skinny jeans from Forever 21.